Could Amazon Open a Boston Headquarters? The first NYC fulfillment center to open was predicted to create more than 2,250 full-time jobs. Michael George reports. Could Amazon open a new headquarters in Boston? The company announced Thursday that it has opened the search for a second headquarters, promising to spend more than $5 billion on whatever site it chooses in North America. Founder and CEO Jeff Bezos said the new headquarters will be "a full equal" to its Seattle counterpart with as many as 50,000 jobs. The news has many speculating about where Amazon could wind up, and whether Boston is a viable choice. "We would love to explore that option," Mayor Marty Walsh told the Boston Globe. "I think it would have to be, 'Is Amazon the right fit for Boston and is Boston the right fit for Amazon?'" The company gave few hints about where it would land, but did say it is looking at metropolitan areas with populations of more than a million that have the potential to attract top technical talent. Boston would appear to fit that bill, with its many universities, not to mention its wealth of technology and engineering talent. The Globe suggested several locations that could be a good fit for Amazon, including NorthPoint on the Cambridge-Boston-Somerville line, Kendall Square, the Seaport, Winthrop Square, Government Center, Suffolk Downs and Reebok's soon-to-be-vacated Canton campus. 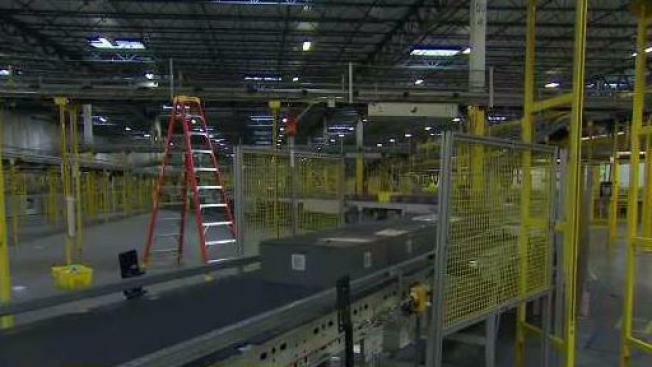 Rhode Island officials have also said they plan to throw their hat in the ring for a new Amazon headquarters. The application deadline is next month.